In a blender, add chopped watermelon, lemon juice,mint leaves and sugar and blend it well. 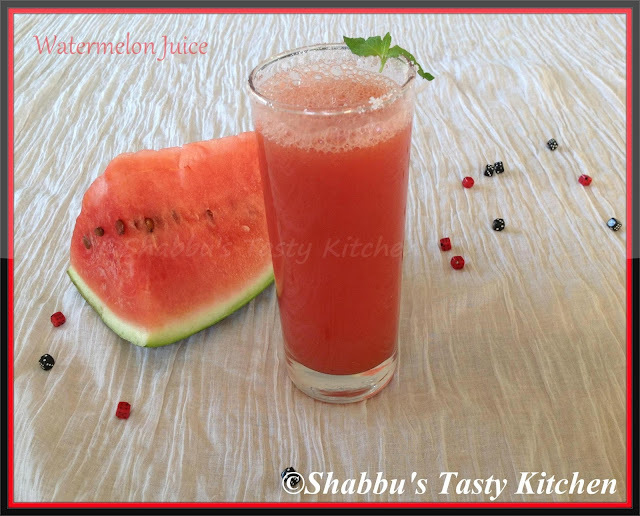 My favorite juice ....Perfect juice for the summers !!! I luv watermelon, it looks so refreshing. A very refreshing drink during summers. Love it ! That looks refreshing one of the best thirst quenchers :) loved the cute little dices in the picture..
Super refreshing juice, love to finish that whole glass.